1. ACCREDITATED with "B" grade by Ministry of Research, Technology and Higher Education of the Republic of Indonesia, Decree No. 51/E/KPT/2017, December 4, 2017. 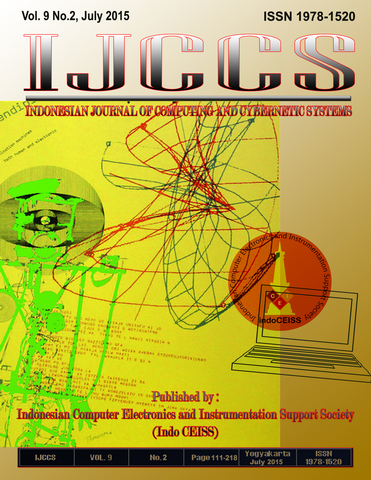 Published by the Indonesian Computer, Electronics and Instrumentation Support Society (IndoCEISS) in colaboration with Department Computer Science and Electronics, Faculty of Mathematics and Natural Sciences, Gadjah Mada University, Yogyakarta on January and July.